After the literally explosive season finale of the first season of this AMC series, I thought that the producers and showrunners would be hard pressed to top the level of awesomeness that the show already had, but was Season 2 totally blew my mind. Season 1 was about the walkers but Season 2 was all about the survivors, and how they try to cling on what little normalcy they have in their lives. While Rick and his group try to find safety, Carl is accidentally shot by Otis, who lives at a nearby farm and is brought in to be treated by Hersel, the land’s owner and a veterenarian. However, Carl’s wounds are serious and needs more advanced equipment so Shane volunteers to get the medical supplies with Otis. Unfortunately, they find the site overrun by walkers and tough decisions are made to ensure the success of the mission. In the wake of the ordeal, Hershel agrees to let Rick’s group set up camp in the relative safety of the farm as they look for Sophia, Alice’s little girl who got lost in the woods. But tempers run high as group members begin to question Rick’s decisions — mainly Shane and Andrea, whose disillusionment from her sister’s death has pushed her to the wall. More than this, they discover that the safety of the barn is a mere illusion as danger lurks right under their noses. As emotions run high, Rick is pulled in all directions by the people that he loved and the people that he is trying to protect, pushing him to do horrible things for the greater good. What I loved most about the second season, aside from cinema style presentation, was the pace. While the sense of urgency was always present in Season 1 as the group tried to outrun the walkers, the danger now lies within the group as its leaders Shane and Rick become more unstable as decisions become harder to make. The series also lulls its viewers with a false sense of security. Just when they think they are growing bored with all the talks of plotting, they are blindsided by assaults and chases that will get their hearts pumping. The story grows deeper in the second season as the characters evolved. Glen, the most loyal member of the group is faced with many secrets and is forced to make tough choices. Andrea becomes the opposite of the level headed lawyer she was in the previous season. Shane grows more restless and is clouded by his resentment about Rick’s return. The always grungy Daryl turns out to be one of the most honorable men in Rick’s camp, while Lori, I am quite unsure what her angle truly is because her actions have all been inconsistent with what she tells Rick. The best thing about the second season for me, was the characters’ struggles to retain what is left of their humanity, their inner turmoil in weighing the importance of their survival against the possible harm it causes other survivors. Season 2 was not just about man’s survival against the walkers but rather man’s competition to stay ahead of the pack and survive. 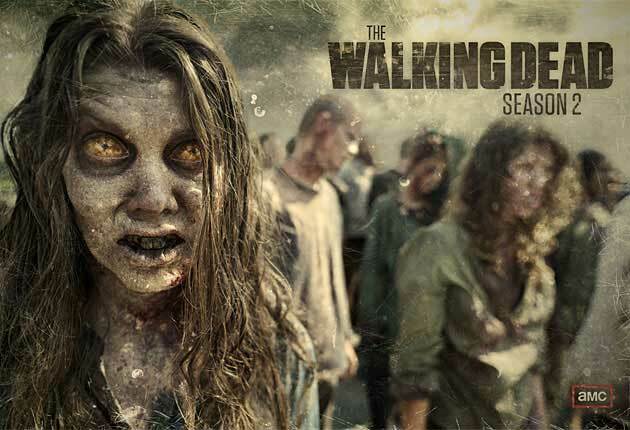 What makes The Walking Dead a show unlike any other is that despite the hordes of zombies always on the sidelines waiting to feast on human flesh, the show also focuses on the people and their stories. Friendships are tested, families are torn apart, loyalties grow more frail. The Walking Dead is not only a visual masterpiece but also a masterpiece of storytelling. It compels viewers to get off the fence and invest on the characters, and understand their motivations — good, bad or somewhere in between. It’s not just a zombie series, it’s brilliant in all levels — as a horror, as a drama, as a series. Now, the problem. How do I wait until fall for the next episode?